David the Student has been a man under fire for the past couple of days after different people came out accusing him of conning them of their hard earned money for different “emergencies”. Different Kenyans in America came out with screenshots of receipts of money that they sent to him for “emergencies”. They claim that his emergencies became suspicious when they became more frequent and recurrent to different people. In one of the screenshots, David is asked by one of the friends he was borrowing from, if the allegations are true and he rubbished it off. “You Kenyans here ni kama hamna job.” he exclaimed. 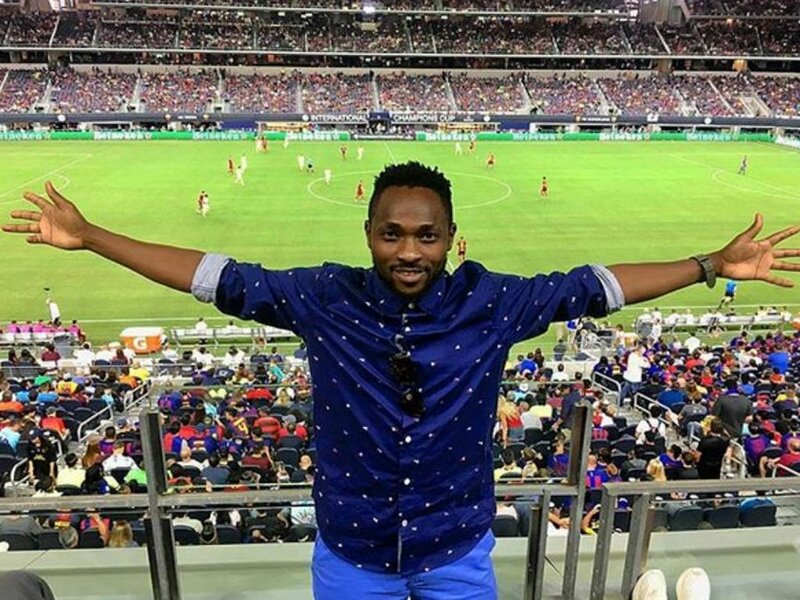 The comedian has since eaten the humble pie and come out clean to apologize for his actions. “I apologize to everyone I borrowed and those who lent me money and I’ve not refunded. I take full responsibility and I am ashamed. There’s so much pressure being on TV to live a certain life but in real sense it’s crazy. Comedy in Kenya doesn’t pay,” wrote David the Student in part. David the student denies claims of saying that his father had cancer and says that the allegations are not true. 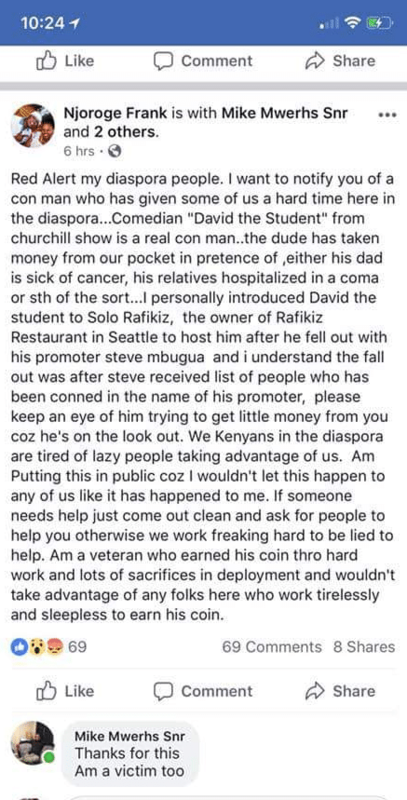 This is the second case of comedians butting heads with Kenyans in diaspora after Chipukeezy was also accussed of using a Kenyan abroad to make himself look good.